Sometimes the power of pursuing a dream that earns less money is worth more than any paycheck could ever command. When “Game of Thrones” star Jack Gleeson announced last year that he was retiring from acting at just 21 years old, fans were shocked that he left behind such a lucrative career that earned him a net worth of $8 million. Gleeson’s plans aren’t to become a Hollywood star, but to follow what he’s passionate about with a return to academia and plans to attend graduate school next year. It’s a rare move in today’s career-driven world, when many people would rather stay tied to the security of a well-paying if dissatisfying job rather than pursue a more personally-gratifying but low-paying calling. But like the now-retired actor, the following four professionals gave up their lucrative careers to follow their ambitions. Steve Silberberg spent years earning a six-figure income as a software designer in the investment world, but as he reached his forties, he reached a point of serious self reflection. His father had died at just 54 years old, and considerations of his own mortality compounded by some mounting job stress led Silberberg to wonder if his time could be better spent doing something for a living that he truly loved. About a decade ago, Silberberg began climbing that mountain to turn his passion into a way to generate income. 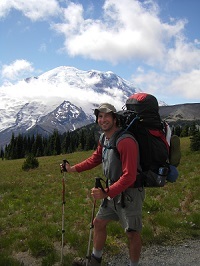 His ideas culminated in the creation of Fitpacking, a weight loss backpacking program through which Silberberg guides customers on a series of adventure vacations to help them get back into shape. Of course, Silberberg said that it wasn’t an overnight decision or success. When Fitpacking began it made very little money with only seven guided trips a year, and the scant income was a stark contrast to his days in the investing universe. But Silberberg persevered, and today Fitpacking has evolved into a popular “re-boot camp” that hosts 25 trips annually to locations like the Grand Canyon, Patagonia, Chile and Canada. According to Silberberg, a trek to Macchu Picchu is also in the works. Kirat Anand built up a sizable nest egg and earned a six-figure salary during two years spent at J.P. Morgan in New York City. But he also observed firsthand how the 100-hour work weeks took their tolls on himself and his colleagues, so it came to time to reassess where Anand stood in his career. A New York native, Anand’s parents were Indian immigrants who were both designers and merchants in the international garment circuit. He remembered trips with them to their home country, scouting and sourcing a variety of exotic fabrics. The exposure, talent and creative expression were present from his childhood; it was just a matter of tapping into them. “That’s when I sort of put up a knack for my current trade. I’ve always had an inclination for fashion,” Anand said. Nine years ago, Anand put that inclination into motion and founded his clothing label, KAS New York, with his mother Sabby. Glamorous and trend-setting, the award-winning design house produces a number of women’s fashions. 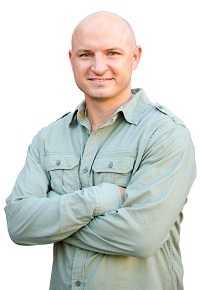 For five years, Jon Tasch dedicated his life to being a “G-Man,” earning an annual $125,000 as an FBI counter-terrorism agent, but he gave up his formidable intelligence career to become a life coach guiding others in hopes of making a similar shift. According to Tasch, departing the FBI meant some initial financial pressure with the loss of his paycheck, benefits and 401(k) plan. Despite initial struggles to adjust to his revised cost of living, Tasch had some equity in his home and some other investments to help launch his coaching business. Tasch’s words to anyone looking to follow their dream is that it’s okay to feel uncertain or doubtful in the beginning — like anything in life, it’s a work in progress. Mudit Rawat’s founding of an online grocery delivery service is a perfect example that money, success and job security can never match the fulfillment that comes with building a dream from the ground up. 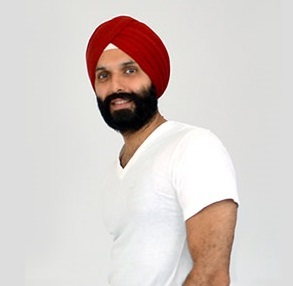 Rawat immigrated to Canada from India 20 years ago, earned his MBA, and clocked in his own six-figure salary in a number of high-paying, high-profile business consulting and development jobs, but something was amiss. “All along, from having a good life in general, I started realizing I wasn’t enjoying what I was doing,” he recalled. “I decided to build something myself.” So, Rawat quit his job with a new business venture in mind, influenced by a cultural trend in India that was not yet prominent in the West. “When you live in India, you never go grocery shopping,” he said. “Everything lands at your doorstep.” It was here that the seed for Urbery was planted. 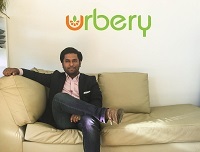 A portmanteau of urban and grocery, Urbery is Rawat’s invention: a same-day grocery delivery service facilitated by a team of product experts known as Grocery Gurus. Under Rawat’s business model, anyone can sign up to be a personal grocery shopper for Urbery customers, who can order and track their groceries through a mobile app. Rawat was able to make a seamless transition from one career to the next through an innovative idea brought to fruition. However, he tells other budding entrepreneurs that patience is important when recognizing and following one’s passion. A business isn’t built overnight.